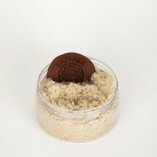 CHERISH Organic Sugar Scrub for Face and Body gently exfoliates while nourishing your skin with hydrating oils. 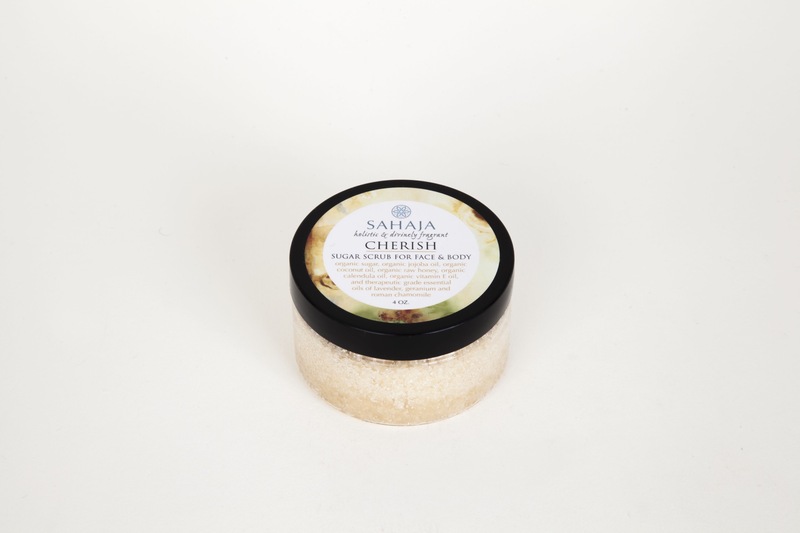 CHERISH is hand-crafted in small batches and made from the highest quality ingredients, including small grain organic cane sugar, raw honey, organic jojoba, calendula, coconut & vitamin E oils, all infused with pure, unadulterated therapeutic grade Geranium and Roman Chamomile oils. 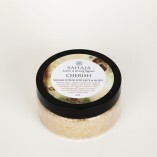 CHERISH Organic Sugar Scrub for Face and Body gently exfoliates while nourishing your skin with hydrating oils. 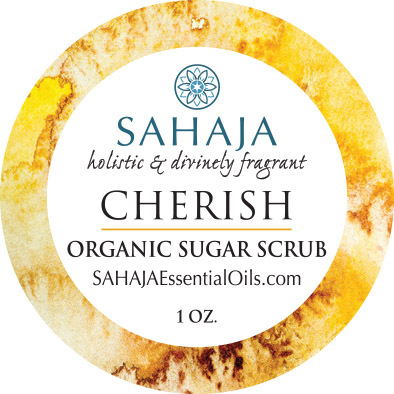 CHERISH is hand-crafted in small batches and made from the highest quality ingredients, including small grain organic cane sugar, raw honey, organic jojoba, calendula, coconut & vitamin E oils, all infused with pure, unadulterated therapeutic grade Geranium and Roman Chamomile oils. 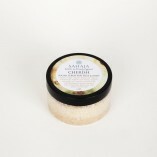 One of our most popular products, CHERISH swells with a honey-floral scent. 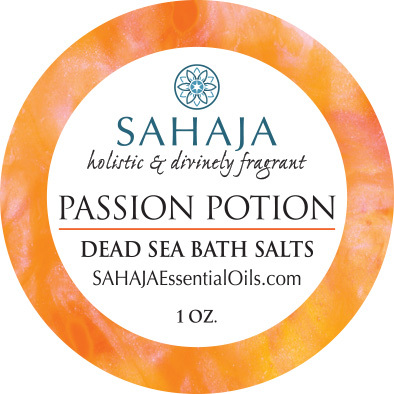 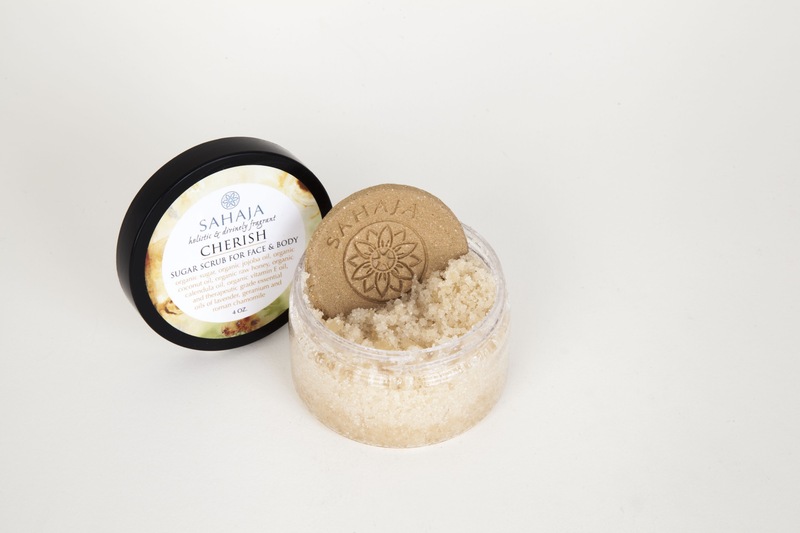 Every tub comes with an artisan ceramic scoop imprinted with the image of a flower or mandala. 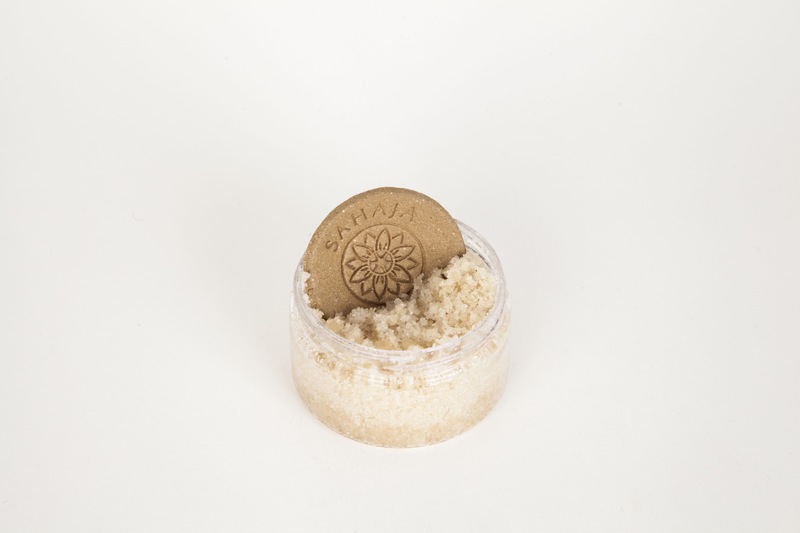 Individually crafted by Topangan potter, Kirsty Iredale, these scoops can be used long after your tub of CHERISH is empty and they will retain the fresh geranium scent. 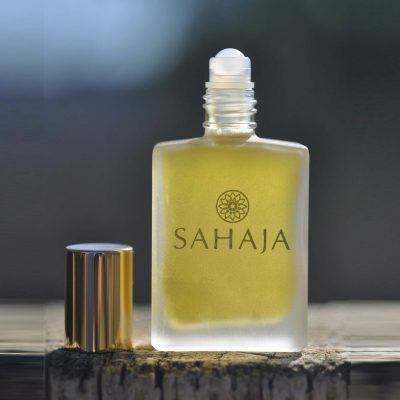 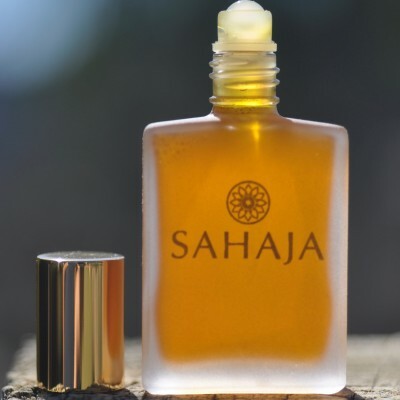 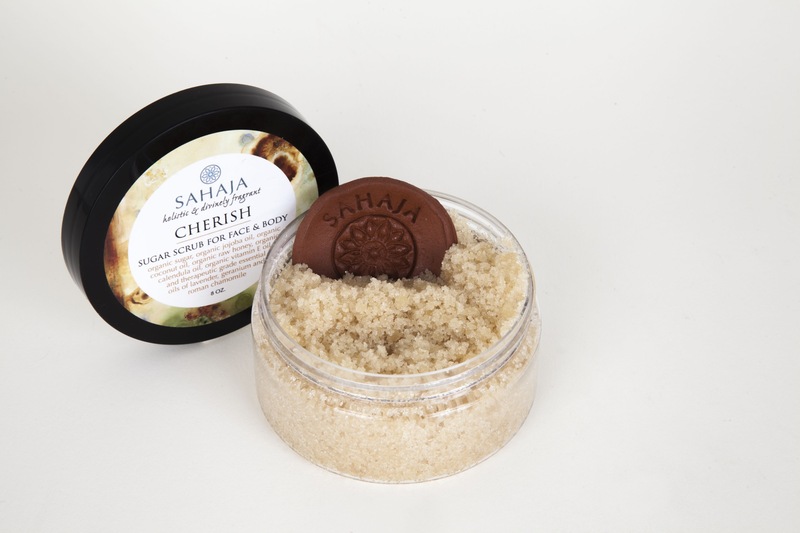 The first time I sampled Sahaja Cherish Sugar Scrub I was so amazed at how it softened and conditioned my skin on the first try-I knew I had to have more and incorporate it into my skincare regimen. 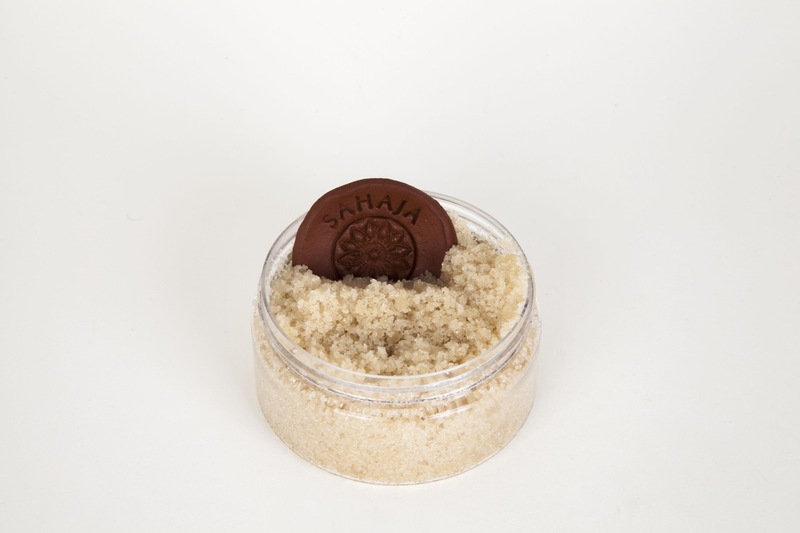 The fact that all the ingredients are organic in this product is an incredible bonus–literally food for your skin! 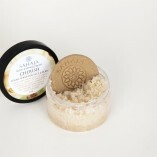 And the fragrance is divine–natural and elegant–lightly lingers on your skin all day. 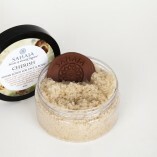 Finally, I love that the products are locally hand-made–ensuring high quality and freshness without unnecessary added preservatives and chemicals. 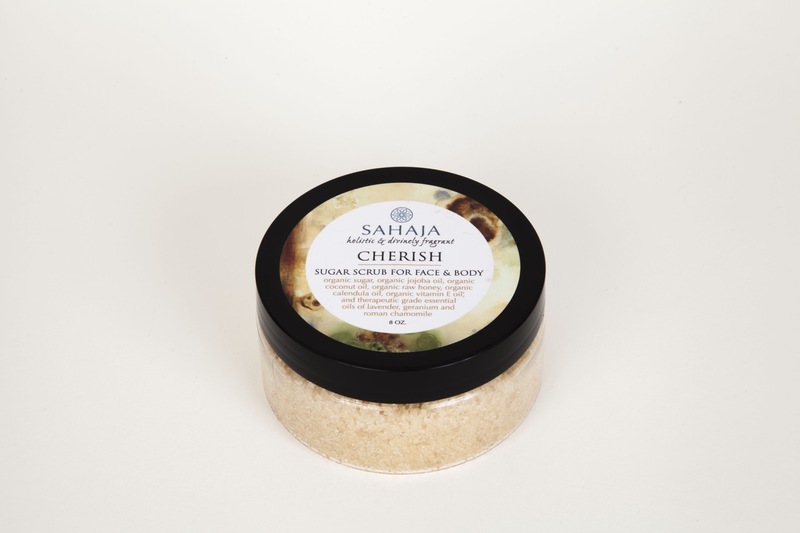 This skincare line is truly the wave of the future for beauty products – back to basics, plant based and created with care. 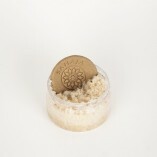 You’ll glow!